True bibliophiles know that building a fine book collection requires sacrifices. For some, this crosses over into full-fledged bibliomania. Many book lovers secretly agree with the famous quotation from Dutch Renaissance scholar Desiderus Erasmus: "When I get a little money I buy books; and if any is left I buy food and clothes." But how many book collectors would literally die for their books? 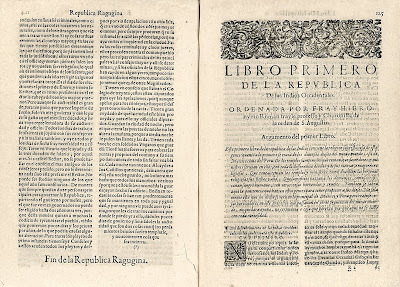 Curators Kenneth Ward and Patricia Figueroa, of Brown University's John Hay and John Carter Brown Libraries, have created a fascinating exhibit which reconstructs a portion of "one of the finest private collections of books in seventeenth century Mexico." 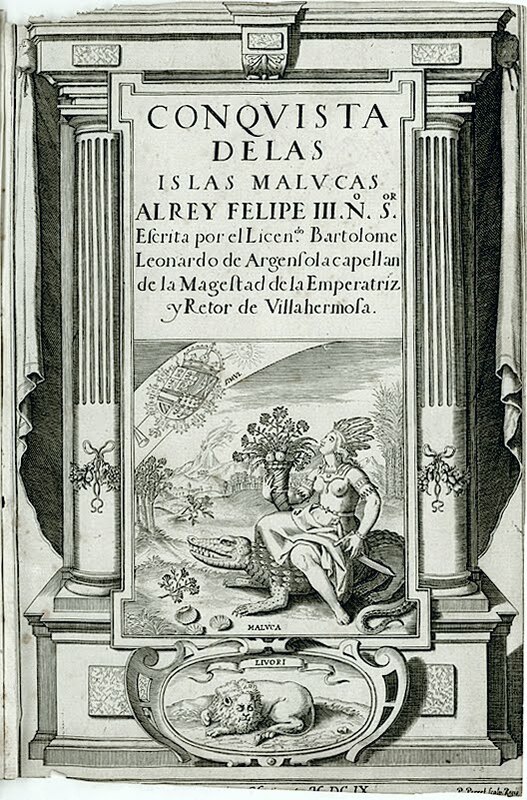 It was the library of navigator, architect, and astrologer Melchor Perez de Soto. And its contents cost Perez de Soto his life. Juan Perez De Soto was a mason who left his native Spain to take advantage of the massive demand for builders in the New World. He set up his Mexican quarry in full view of the largest stone monument ever built, the Great Pyramid of Cholula. Tradesman Juan, like many men of his day, wanted a better life for himself and his progeny. To this end he married a daughter of the Spanish nobility, the descendant of a conquistador and his Guatemalan bride. Their son Melchor was born in 1606 near the city of Puebla. Shortly after his birth, the family moved to Mexico City, where there were better business opportunities for Juan, and better educational opportunities for his son. depictions of the human eye and internal organs. Melchor Perez de Soto learned to read and write in Spanish at an early age. One of his first teachers was Juan Garcia de Becerril, who is believed to have shared a family member's library with the young boy. In a decision that was to prove fatal in the years to come, Melchor learned only rudimentary Latin, the worldwide language of scholars at the time, before leaving school to join his father's business. But even after abandoning his studies, Perez de Soto retained his love for books. Despite never having more than a modest income, over the years this confirmed bibliophile bought hundreds of expensive volumes imported from Europe to Mexico. Pieter Perret. 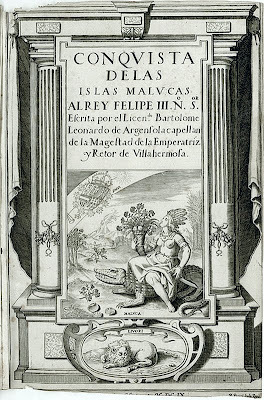 Conquista de las islas Malucas. Catholics and Muslims over the island of Ternate. Like many a true collector, Perez de Soto purchased a large number of volumes he would not, and literally could not, read. His library contained books in Latin, French, Portuguese, Italian, and other European languages he had not mastered. 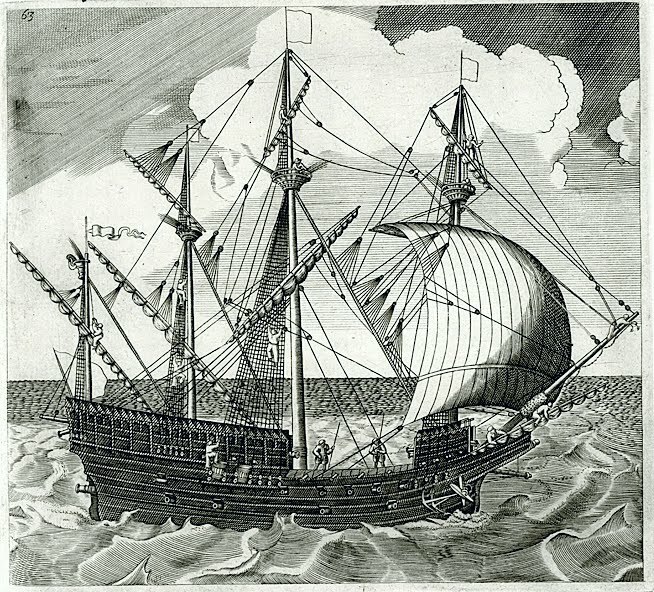 He collected books on a wide variety of subjects, including navigation, cartography, geography, medicine, history, architecture, literature, and military science. 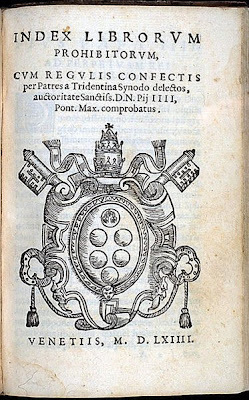 To his peril, he also collected works on astronomy, astrology, palmistry, and other branches of the so-called occult sciences, subjects which ultimately brought him unwanted attention from an all-powerful secular branch of the Catholic Church. The Holy Office of the Inquisition was established in New Spain in 1571. This Mexican Inquisition was an offshoot of the Spanish Inquisition, and had many of the same targets: crypto-Jews, homosexuals, and scholars of the occult sciences. 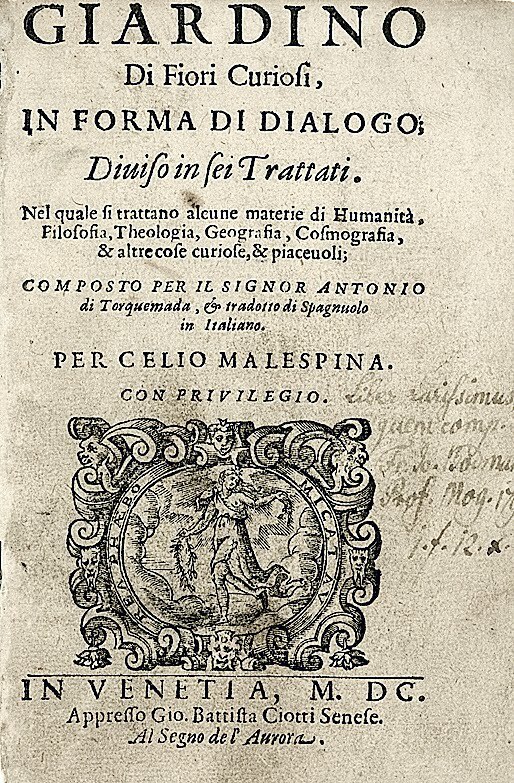 It also utilized the Index Librorum Prohibitorum, an official list of banned books first published in Rome in 1559, and revised throughout the centuries until the publication of the 20th edition in 1948. 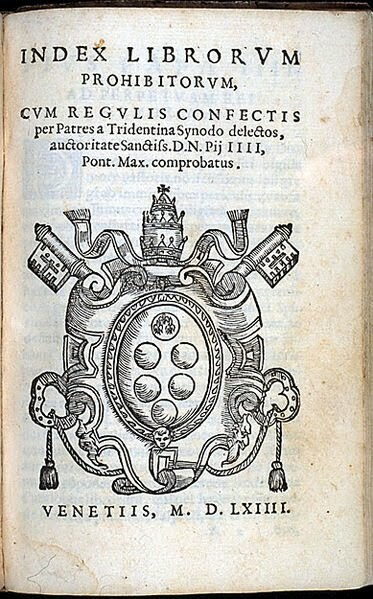 (It was formally abolished by Pope Paul IV in 1966.) The 1559 Index banned each and every book written by over 550 authors. 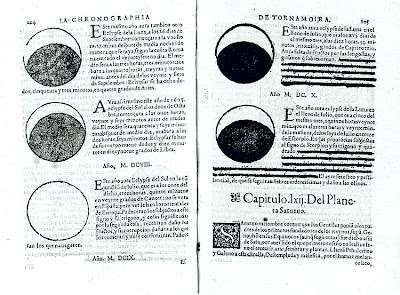 diuersas cosas: de cosmographia, sphera. 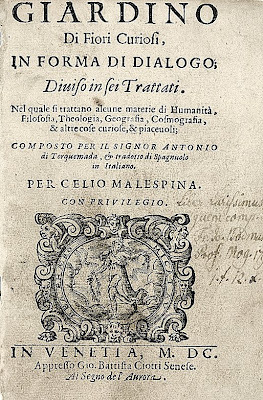 Pamplona: Thomas Porràlis de Sauova, 1585.
expurgated (censored) in 1632, 1640, and 1707. Possession of these blacklisted books, once brought to the attention of the Inquisitors, resulted in a dossier being compiled on the unfortunate owner at the very least. At worst, it resulted in the seizure, redaction, and/or destruction of the banned titles; the arrest and imprisonment of their owner; and ultimately a public trial on the charge of heresy. A guilty verdict led to a co-operative (i.e. one who renounced his book's "heretical ideas" and denounced other "heretics") prisoner's merciful death by strangulation, or a non-repentant prisoner's execution by burning at the stake. conforme a noua reformação do Sancto Papa Gregorio XIII. 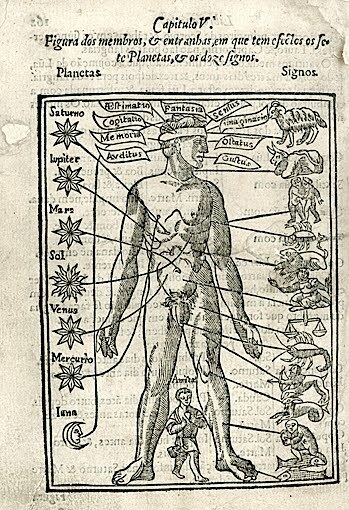 to construct this work of astrology and astronomy. and this work was added to the Index in 1632. Melchor Perez de Soto first came to the attention of the Mexican Inquisition in approximately 1650. It appears he was initially denounced by fellow craftsmen in the building trades, who were jealous of his success, and found his predilection for books and reading to be a highly suspect hobby for a tradesman. 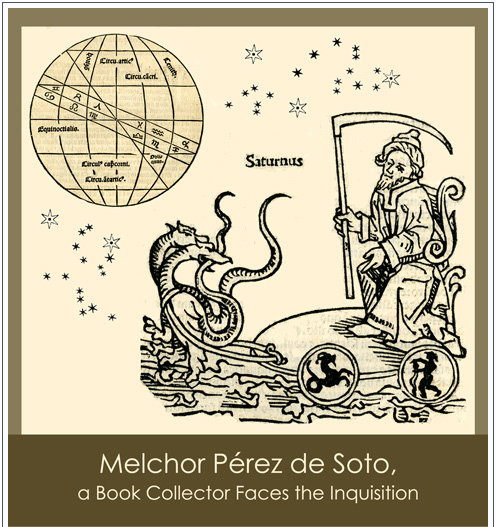 Subsequently, he was further vilified by Gaspar Rivero Vasconcelos, who upon his own arrest stated that Perez de Soto had lent him several books on the forbidden subject of "Judicial Astrology." 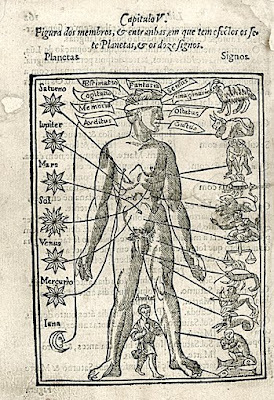 Rivero, a "free mulatto, [and a] student of Cannon Law," further stated that the book collector had later employed him to translate several occult tomes from Latin into Spanish. Giardino di fiori curiosi, in forma di dialogo. 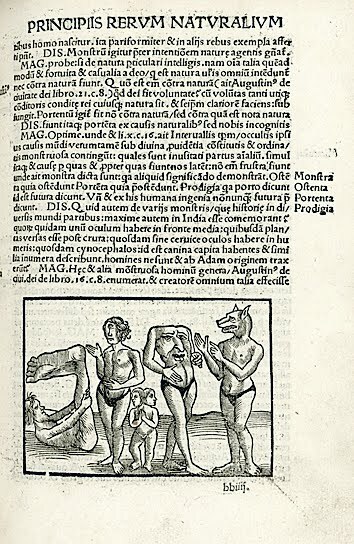 Venice: Giovani Battista Ciotti Senese, 1600.
including monsters, Amazons, satyrs and the like. and the Spanish Index in 1632. The Inquisitors spent four years assembling a dossier on Perez de Soto, during which time he was implicated in heresy by another translator he employed, Nicolas de Robles. 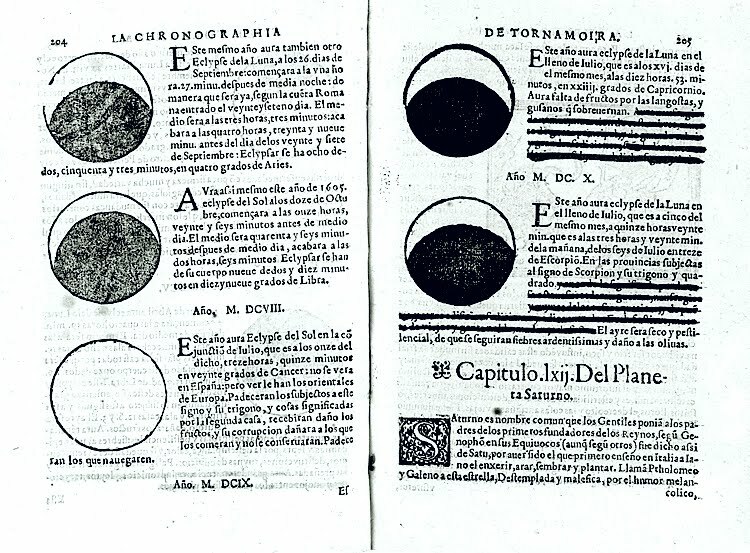 By 1654 Perez de Soto had been named as a practitioner of the black arts by yet another translator, as well as by several "friends" who stated he had divined amazingly accurate predictions upon casting their astrological charts and reading their palms. Inquisition's Inventory of Melchor Perez de Soto's Library. In January of 1655, Melchor Perez de Soto was arrested by the familiars of the Holy Office of the Inquisition. He was placed in solitary confinement, languishing for weeks without human contact save for the occasional interrogation. Perhaps worst of all, he was denied pen, paper, and books. Though never informed of the charges against him, he presumed them to be related to his book collection, and repeatedly stated that he had employed translators only to determine if the books in languages he could not read were objectionable. This novel defense was predictably ignored by the Inquisitors, and Perez de Soto was invariably returned to his solitary cell. It is believed that as weeks in prison turned to months, the book loving prisoner, quite understandably, went mad. ROMAN, Hieronymo. Republicas del mundo. conforms to the norms of the Holy Office. The actual manner of Perez de Soto's death remains mysterious. At some point, he was finally allowed a cell mate, ostensibly in a show of mercy from his judges. Whether by coincidence or by design, the first night Perez de Soto had company was also the last. At sunrise, Diego Cedillo was found covered with blood, clutching a rock, next to the lifeless, battered body of his cellmate. Cedillo claimed he had killed Perez de Soto in self defense, after the "madman" had attacked him. Cedillo's first night alone in this same cell was also his last. Upon his second sunrise in this apparent deathtrap, he was found hanging from a noose made of bedsheets, strangled to death. So here ends the tale of Melchor Perez de Soto, one of the many scholars in New Spain who paid the ultimate price for their beloved books. "In front of this place was the execution grounds of the Inquisition. 1596-1771." Ironically, the library Melchor Perez de Soto died for lives on, thanks to his captors. Like zealots throughout history, the Mexican Inquisitors were fanatical record keepers. The Holy Office's inventory of some 1,600 titles seized from the bibliophile's collection has survived in manuscript form. (The vast majority of the seized books themselves--all but those deemed entirely blasphemous--were returned to Perez de Soto's illiterate widow, who either sold them or had them pulped for paper.) 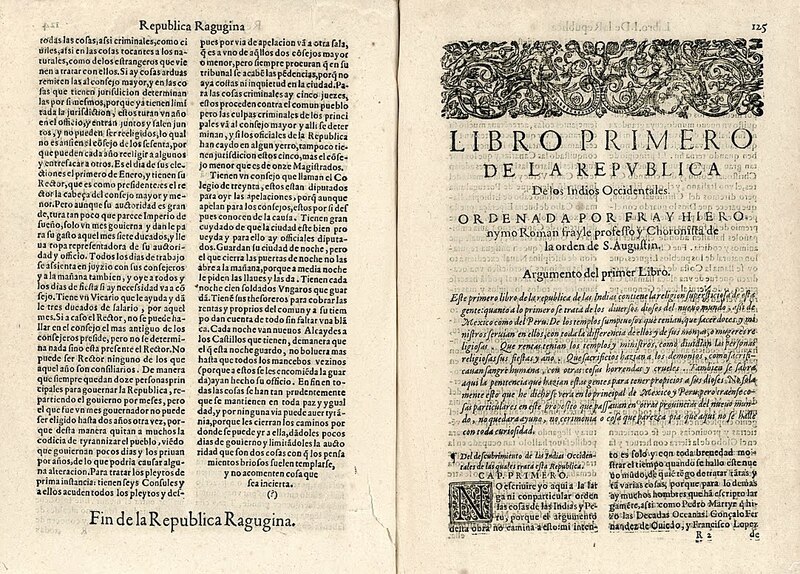 The Inquisitor's manuscript does not reveal the precise editions of the volumes listed, but the Brown University exhibit displays 52 representative titles from the list, held by the rare book and manuscript collection of the John Hay Library. 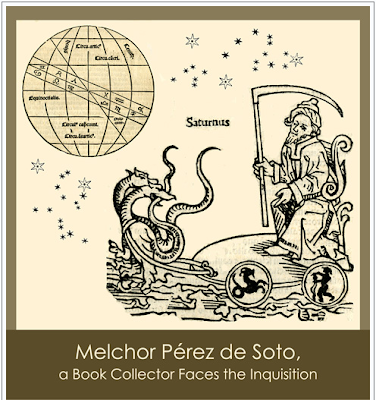 The exhibit, Melchor Perez de Soto: a book collector faces the Inquistion, is available online, and the books will be on display at Brown University through September 19, 2010.